We take pleasure to introduce ourselves as one of the renowned firms for providing the best-in-class range of Pile Weatherstrip. 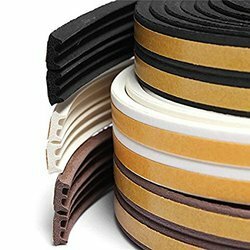 Pile Weatherstrips are manufactured by Anand Reddiplex Ltd., an ex-joint venture with Reddiplex Ltd., England with more than 20 years experience in manufacturing pile weatherstripping products. The Reddiplex group have achieved a worldwide reputation, second to none for product quality and service. All kind weather strip silicated and non silicated. We have in our store a exclusive range of Weather Strips that is manufactured using superior grade material and advanced technology. Widely used in production process of different applications in varied industries, this product is well known for its superior performance and longer service life. We also offer custom made weatherstrips. Owing to rich industrial experience, we are involved in offering a wide array of Weather Strips. These Weather Strips are highly durable in nature and available in the market in different sizes. 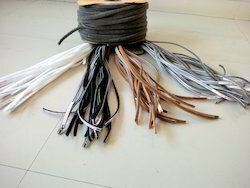 The offered Weather Strips are tested for their quality under the supervision of our quality controllers. Being the foremost company, we are offering an exclusive collection of Weather Strip. Our offered array is admired for its attractive features. This type of weather seal ensure smooth running of mosquito nets. It has few polypropylene UV stabilized in between the yarn.